Many people love using celebrity names for their bulldog. 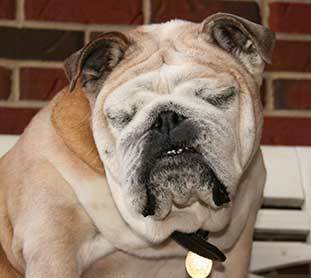 Much like celebrities, bulldogs are admired, approached and photographed while out in public. Something about them just draws attention. McLovin - consider naming your bulldog McLovin. One reader submitted McNaughty, which mixes it up a bit. Buckwheat - a bulldog name that needs no selling. Spanky - another Little Rascals bulldog name. 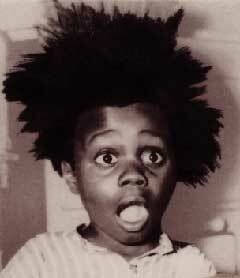 Other names include Alfalfa and Stymie. Bogart - after classic actor Humphrey Bogart. Bo and Luke - suitable for a pair of male bulldogs. Kobe - for Laker fans. Shaq - why is naming a bulldog Shaq so incredibly funny? Ozzy - after Ozzy Osbourne. Your bulldog will be so heavy only the devil can lift him. Ozzy drools. Bulldogs drool. Makes sense! Bianca - from Bianca Jagger, the old supermodel. 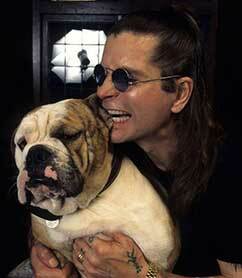 Howard Stern's bulldog was named Bianca. Shanaynay - from the old "In Living Color" sketches. Can also be spelled Shanene. Angelina - after Angelina Jolie. Leia - from Princess Leia. Farrah - tribute to Farrah Faucett. Beyonce - top ten bulldog name. Snooki - old but still funny.